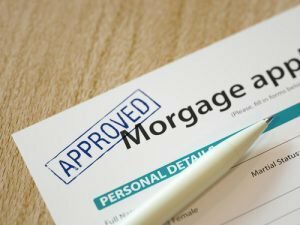 Mortgage applications increased by 1.6 percent this week, according to the Mortgage Bankers Association ’s (MBA) latest Weekly Mortgage Applications Survey . On a seasonally adjusted basis, the Market Composite Index—a measure of loan application volume—decreased by 1 percent compared to the previous week. Refinance Index reflected an increase of 2 percent from the past week and seasonally adjusted Purchase Index recorded an upward trend this week at 3 percent. Unadjusted Purchase Index, on the other hand, decreased by 2 percent. The volume of refinance loan applications recorded the highest level since March 2018 at 41.5 percent of total applications. The refinance share of mortgage was at 40.4 percent the previous week. An increase in adjustable-rate mortgage (ARM) activities reflected at 7.6 percent of total applications. In government loan applications, the FHA share went up to 10.8 percent from 10.2 percent in the past week. The survey revealed an increase in VA share of total applications at 10.2 percent this week compared to 10.0 the week prior. The USDA share of total applications increased to 0.7 percent from 0.6 percent the week prior. For 30-year fixed-rate mortgages with conforming loan balances decreased to 4.96 percent, the lowest level since September 2018. The rate for 30-year fixed-rate mortgages with jumbo loan balances decreased to 4.80 percent, the lowest level since September 2018. FHA-backed 30-year fixed-rate mortgages decreased to 4.97 percent, the lowest level since September 2018, from 5.05 percent. The 15-year fixed-rate mortgages decreased to 4.41 percent, the lowest level since September 2018, from 4.50 percent. The rate for 5/1 ARMs decreased to 4.24 percent from 4.33 percent.